Many asking about Always on Top feature for Gimphoto 1.4, i'm sorry there is no manual included with Gimphoto 1.4 about this matter. Always on Top feature is called Transient Windows, it's available at GIMP 2.3.19 under Menu Preferences but at GIMP 2.4 it's gone. I believe it's because that feature is buggy under Win32 (try using it with more than one image opened) so the Gimp 2.4 developer decided to hide it until it fixed. Lately i heard that it already fixed but i don't know it will included with GIMP release or with GTK2 for windows release, must be ask to GIMP for Win32 developer team. 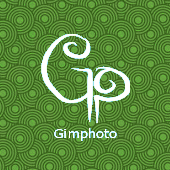 So i search better and stable alternative to replace it, i found Power Menu and included it with Gimphoto 1.4 to replace transient windows function better than nothing. - at GIMP Toolbox window, klik icon beside title bar window, there is will show additional menu "Always on Top", select it. - at GIMP Tool Options window, klik icon beside title bar window, there is will show additional menu "Always on Top", select it. - now GIMP Toolbox and Tool options will always on top. - search folder Documents and Settings. - open file gimprc with Notepad. - search this text and add this bold text. - run Gimphoto and voila! Transient Windows is enabled.